Fuso Canter Power Supply vehicle. 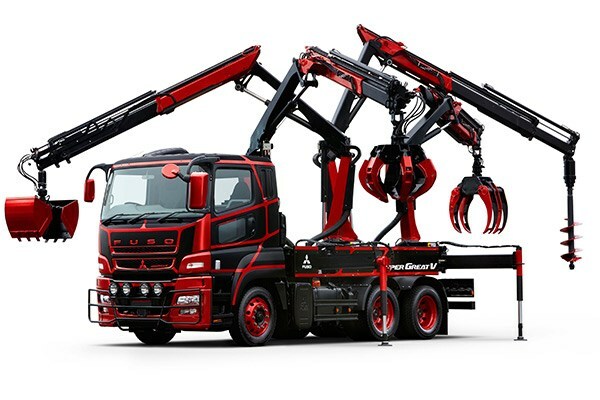 Fuso has unveiled a concept truck inspired by a spider at the Tokyo Motor Show, fitted with boom cranes and earthmoving attachments. 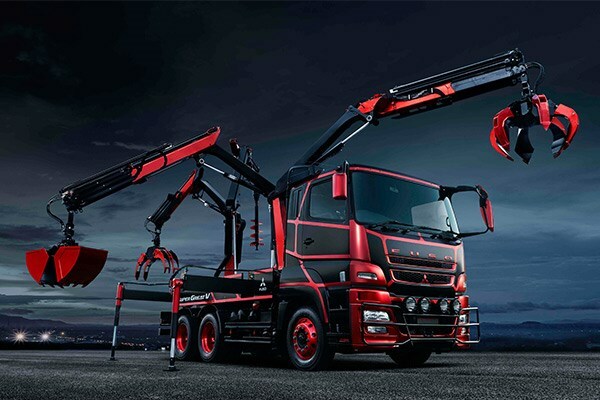 The Fuso Spider has eight limbs, the truck maker says, with four outriggers providing stability and four articulated cranes capable of fitting a number of attachments, and moving side to side and up and down. 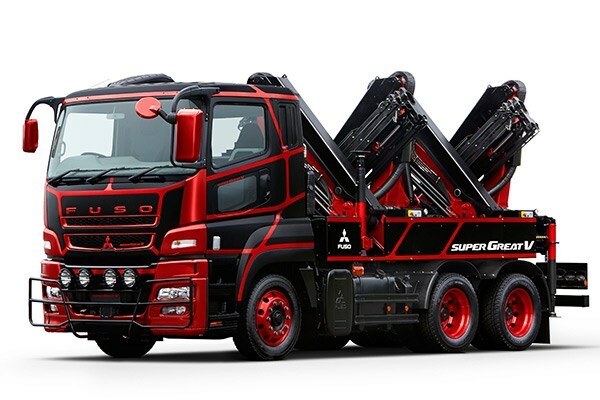 The concept on show in Japan has a post-hole auger, a bale grapple, a log grapple, and a bucket attached; a bulbar; four driving lights; and a red and black paint scheme. "The Spider is based on the Japanese version of the Australian FV Heavy truck, which is called the Super Great in its home market," Fuso says. "It runs a six-cylinder diesel engine linked up to a fully automated transmission. "At this stage, the Spider is a one-off concept truck and there are no plans to put it into production." 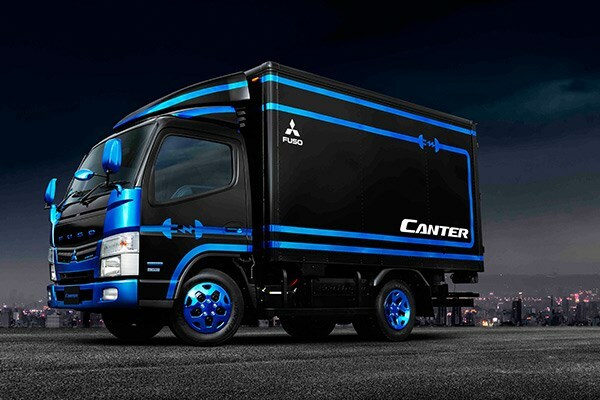 Fuso also showed off a highway cargo hauling version of the Super Great truck and a Canter Eco Hybrid Power Supply Vehicle concept truck capable of supplying power in emergency situations.